Located in the heart of Galway City Centre just off Eyre Square, Corrib Shopping Centre boasts 4.6 shoppers per year. 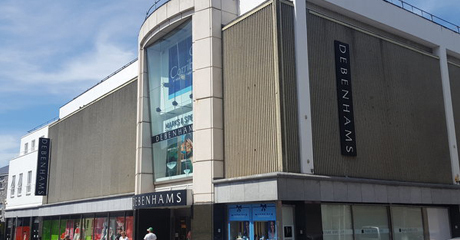 It recieves some 8500 vechicles a week, it is also the home of the only Debenhams and Marks & Spencers in the West. These stores, coupled with the centre's central location make it a shopping destination not to be missed.